Adapted and condensed from Covencraft: Witchcraft for Three or More by Amber K (Llewellyn, St. Paul MN, 1998). Used with permission. Who are the “elders” of your coven? In most covens, they are not silver-haired crones and bearded sages who grew up in the Craft. They could be folks in their thirties or forties who are “elders” by virtue of the fact that they have led your coven for the past five or ten years, and have more experience than most of the members. Witches may face new problems in their elder careers. Perhaps they may have been the teachers and organizers so long, and worked so hard for the Wiccan community, that they are a bit… tired? Crispy around the edges? Nothin’ says lovin’ like a priestess in the oven? We’re talking thaumaturgic toast here. Elders should take a regular inventory of their lives and decide what issues they need to focus on in order to continue the spiritual quest which is part of the life of every priest/ess. Some of the potential issues may not seem “spiritual” at first glance, but doesn’t spirituality encompass every aspect of our lives? What is your best possible vocation? Is it time to take a fresh look at your work, and perhaps have the courage to switch to a career which is more challenging, or congruent with your convictions? Maybe it’s time for an old dream to revive; maybe you’ve become aware of new possibilities. Spend some time re-searching at your library, surf the Web. And consider this: over the next ten years you will spend about 20,000 hours at your job. Do you want to do what you’re doing now for 20,000 (or 60,000) more? Parenting is something many of us do, but how well are we doing it? Maybe now is the best time to review how you parent and make changes. Maybe only a minor “tune-up” is needed: a little more time with your kids, a little more attention to good nutrition, a little less television and more outdoor recreation, more hugs and smiles…. Or maybe there are more serious concerns, and a visit to a family counselor is really a good idea. Wiccans are no strangers to fear, but unlike many, we are expected to confront and heal our fears. What do you fear? Illness? Being alone? Poverty? Loss of your job? Death? Then there are the common phobias like fear of heights, cats, dogs, fire, enclosed places, flying, spiders, or Greek markets. Whatever your fears, perhaps you owe it to yourself to work on them: not only is your life restricted, your magickal power is dimmed by the corrosion. You may not be able to heal your fears alone, but there are counselors and the resources of your coven to help. Fear is only one of the “shadow side” emotions we must face. Do you carry within you jealousy, anger, hatred, the capacity to kill? Most of us do; it is part of the human heritage. Lest we be ruled by such feelings, we acknowledge them, face them, and transform their energy into creation and growth. This is dark and mysterious psychological territory, and though the final work is always done alone, you may take companions on the first part of the journey: priestess-counselors, shamanic guides, goddess-aspects, and animal allies. Professional therapy may have its uses as well. If you hesitate, remember that magick is a two-edged blade, and one you should not wield unless you have faced your shadow and emerged whole. Estrangements are another category of spiritual challenge for elders. Are you alienated from your family or a former friend, lover, or spouse? Can you reach out to heal and renew the relationship, or if not, can you release it in love? And what of estrangement from ourselves—our feelings, bodies, hopes, and dreams? Part of maturity is accepting and embracing the world, yourself included, rather than walling off the parts that hurt you. Hieros Gamos means the “Sacred Marriage.” This refers in part to the inner marriage of feminine and masculine which brings wholeness to an individual. It means that males have a bit of the Goddess within, and that they become more fully, deeply, splendidly, wholly man and human by embracing Her… and the converse for women. It’s a mystery worthy of an elder’s quest. Yet another spiritual challenge is to accept responsibility for the future; to have a vision for the world and act to bring it closer to reality. We can choose to be educators and reformers, building on the foundation of our present culture and improving it. We can be rebels and outlaws, attacking the old corruption and injustices from outside society. We can be pioneers, creating new communities as alternative role models for the world. But it all begins with a vision of what could be. What will be your legacy? The story of a priestess or priest who dared confront the shadow, and emerged whole? A forest planted, wise laws enacted, artistic beauty created? A rare species saved, a law of nature revealed, or shelter built for the homeless? What will be your harvest for this incarnation? Elders need new learning experiences. A Pagan association or COG Local Council might organize a Workshop Day where the best teachers from each coven teach at a day-long event, or exchange teachers for an evening or weekend to teach their specialties to a nearby coven. There are also many opportunities to learn Pagan-related things at “Non-Pagan” events, such as seminars on mythology, ancient history, alternative healing methods, clinical hypnosis, pastoral counseling, organic gardening, or environmental quality. Local colleges, YMCAs, park districts, and clubs may offer classes in belly dancing, yoga, folk dancing, the Internet, jewelry-making, and other subjects. If there’s no program available, invite an expert in to share with you. Ask a profes-sional therapist to train you in basic pastoral counseling skills, a member of the Garden Club to help you start a coven herb garden, a martial arts instructor to work with you in channeling “chi” energy. You may need to provide an honorarium to cover time and travel expenses, but if this is divided among the coven members it should be affordable. It may be an extra little “motivator” if your coven has some way to recognize advanced achievement among your elders: perhaps a coven “Mistress-of-Arts” or “Master-of-Arts” degree developed between each elder and a mentor, with some tangible symbol at the end of it: a new cord or badge. As part of the program, the elder student should teach some basic workshops on the subject for Pagans in the area. –Ask yourself, “What would make our coven’s program even more outstanding?”—then do it! –Organize a Pagan potluck, workshop by a guest speaker, regional festival, or renaissance faire. –Trade visits with an area Buddhist temple, Jewish synagogue, Native American church, etc. –Compile a list of campgrounds, hiking trails, picnic areas, and other outdoor resources and share it with Pagan groups in your community. For some the Internet offers a chance to connect with other Pagans here and abroad. Keep up with news affecting Pagans worldwide, and use it as an educational tool: do surveys, collect ritual ideas, or ask for information on a specialized field. A few elders use their special experi-ences and skills to write books on magick or Paganism, preserving our heritage and offer-ing more resources to seekers and the Craft. If you are a respected local teacher, try sharing your knowledge away from home. Start by offering workshops at summer festivals; in time you may wish to travel and lead weekend workshops or retreats. Elders with excellent group skills may become officers of organizations like the Covenant of the Goddess (COG) or the Covenant of Unitarian-Universalist Pagans. These are volunteer positions elected from the membership; many require lots of time and energy, but generally the terms are only a year, and there are long-term rewards helping the Craft thrive. Some elders are investing energy in interfaith organizations on local, state, nat-ional, and international levels; many are open only to Christian churches, but others are open to all religious communities. Interfaith work is one kind of special-ized ministry. Other elders work with Wiccans in the prisons, hospital chaplaincies, law enforcement agencies, the military, the media, or even dictionary publishers. Because of their work, Wicca is slowly becoming recognized and accepted by professionals and community leaders. …or whatever would be a restful change-of-pace for that individual. The sabbatical might take three months, six months, or longer. If your coven is strong, you can spare one member for that length of time. Many elders are ready for coven leadership before the HPS and HP of their home coven are ready to step aside. Then hiving becomes a natural alternative. If others in the home coven want to go with them, they are free to do so. Traditionally, until they receive their third degree a new coven leader operates under the guidance of their home HP/S. Wise coven leaders will be sensitive to each covener’s growth and know if an elder is “chafing at the bit” and ready to lead their own coven. There are issues of individuation and separation. Sometimes difficulties can be avoided if the coven leaders make it clear that hiving will be encouraged and supported. Elders have special needs: they require advanced learning experiences, challenging roles in the coven, and perhaps projects, offices, and resources outside the coven in the wider Pagan community. And sometimes they just need a break. Capable coven leaders will work to see that their elders are challenged, growing, and have opportunities for teaching, leadership, or advanced study. 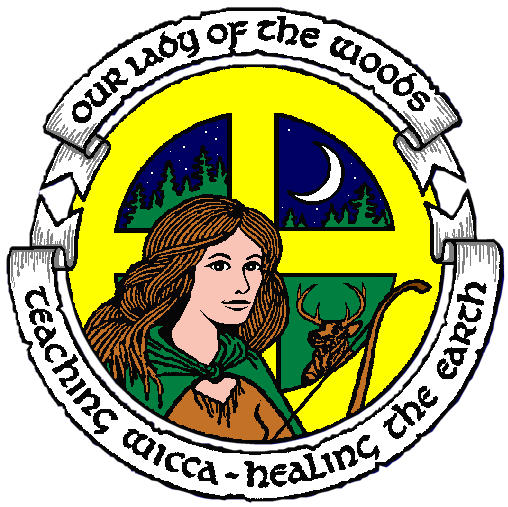 This page was downloaded from www.ladywoods.org, the website of the coven of Our Lady of the Woods. It may be used for personal and educational purposes with credit to website and to the author.